TEGNA Inc. (NYSE: TGNA) announced today that the new syndicated daily one-hour talk show, “T.D. 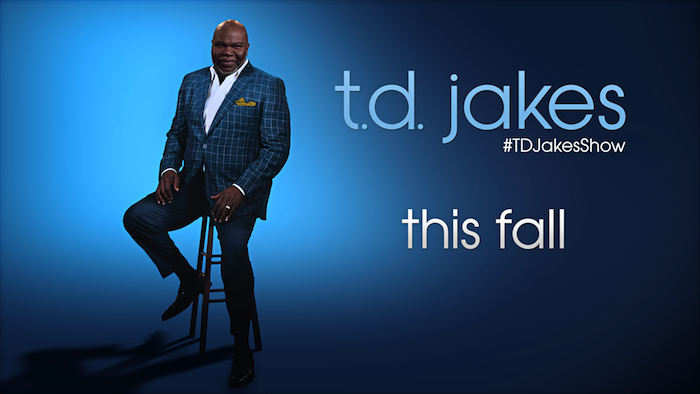 JAKES,” hosted by best-selling author, film and music producer and entrepreneur T.D. Jakes, will premiere in more than 50 cleared U.S. markets on MONDAY, SEPTEMBER 12, 2016. This entry was posted in Blogs, Cover Stories, World News and tagged TD Jakes Show, TEGNA by Kris Patrick. Bookmark the permalink.